GF Ontario Blog: Lay's Chips - Gluten-Free Giveaway! Lay's Chips - Gluten-Free Giveaway! Everyone knows Lay's chips and everyone loves them. This is a theory I have. You will be happy to hear that many of Lay's chips have now been certified as gluten-free through the Canadian Celiac Association's new Gluten Free Certification Program. I want to point out that there is no flavour difference to the Lay's products you grew up enjoying. These products that have been certified have either always used naturally gluten-free ingredients or have been reformulated to be gluten-free without sacrificing the taste! Our individual manufacturing facilities are recognized under the Gluten-Free Certification Program as consistently being able to manage a gluten-free environment and achieve the regulatory requirements to claim gluten-free. The Gluten-Free Certification Program recognition of facilities demonstrates that these facilities have applied due diligence through their gluten-free management system and that conformity was verified by a competent, independent audit. If you would like more information on Lay's products, you can check out their website and click "Nutritional Info" on the top right corner. New packaging will be rolling, including the words GLUTEN FREE at the end of the ingredient lists of the certified products. Since I am such a generous person, I have decided to donate the gift basket that I was supposed to receive as a prize for one of you in this giveaway! What is your favourite flavour of potato chip? Post your entry in a comment below before 11:59 EST on Tuesday, June 12, 2012 and you will be entered to win a basket of $50 worth of gluten-free Lay's products. Please include your name (as it appears on Facebook) or your Twitter handle in your comment so I am able to contact you when/if you win! If you do not have Facebook or Twitter, please ensure I have a way to contact you. If you enter more than once (please don't) only your first comment will be considered. This contest is open to Ontario residents only! (This is Gluten-Free Ontario, after all) The winner will be chosen at random and I will post the winner's name by Wednesday, June 13, 2012 on Facebook, Twitter and on this page. Comments on this blog require approval - please only post once and I will approve them at a later time. I like to stick with the plain Classic chip. Dill pickle, lol. Ever since I was a kid. Old fashioned bbq is the best! Any chip is a good chip! Definately Smokey Bacon. They are so good. My favorite is still Lays Plain! my favourite chip flavour is salt and vinegar :) i find it helps with nausea! I love the Lightly Salted chips. Thanks! I sometimes enjoy the "Roast Chicken" flavour, but my all time favourite is still the WAVY Originals! Plain old regular Lay's chips. Eat them all the time and they never make me feel sick! A plain Lays chip has always been such a simple pleasure. My favourite now is the Lightly Salted as it's nice to enjoy a good chip while appreciating that it might be a 'little' healthier because there's less sodium! Plain - no dairy in them, and for some reason they settle my stomach! Dill Pickle all the way! I have adored Sour Cream & Onion Lays ever since I was a kid - no need to buy dip! Dill Pickle for sure!! and this is AMAZING news!! Yay! Absolutely SALT & VINEGAR, always and forever, my guilty pleasure. I have missed them so much, and can't wait to indulge. We're BIG fans of the regular Lay's chips. They are delicious! Hands down it has to be sour cream and onion! Just my all time favorite! Classic plain chip - can't eat just one! Classic plain -you can't eat just one! Wavy Original Chips are a regular purchase at my place. I have been buying them, even when their competitor has their's on special. I have found that they settle my stomach when I have a lot of reflux. LAY’S® Sour Cream & Onion Simulated Flavour Potato Chips, is my favorite, but like most of them. Has to be Lay's Smokey Bacon...but I love all the other flavours as well so PLEASE pick me as your winner and I'll be a Lay's Gluten-free fan for life. I like most of the, but my best are the LAY’S® STAX® Sour Cream & Onion Flavour Potato Chips. I love Regular...perfect amount of saltiness and crispiness!! May sound boring to some, but they sure satisfy the salty cravings I get...Lay's are what I crave for!! Jax: You certainly are generous...thank you!! Is there really a flavour that anyone dislikes? Don't believe so! I like 'em all....especially if they are all gluten free. I have been eating just the Classic for so long, because I knew they were safe for me. If I get a choice, I'm going back to my long time favorite, the BBQ!! I like plain ruffled, with goats milk yogurt onion dip, yum! My fave chip is the Lay's Lightly Salted. They remind of the hot chips we use to get directly from the chip factory in Hartland New Brunswick. My favourite chips in the world are the Lightly Salted. sour cream and onion is my fav. Has been for years. Before diagnosed with celiac I was pregnant with twins I was really sick and this was the only food I could keep down. Ever since I was a teen, even through a rough pregnancy, and still today this flavor is my fav. 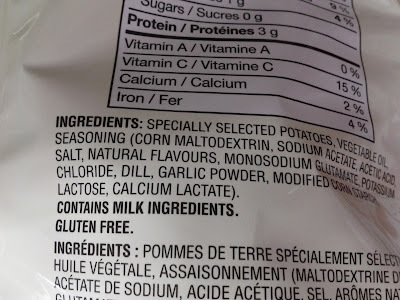 OMG, I love lays salt and vinegar, and dill pickle chips but have avoided them assuming that there would be no way they are gluten free and have stuck to my kettle chips. Thanks for sharing this with me, you made my day! Somehow my favourite has always been just classic rippled. Even before I knew I had Celiac Disease. Smoky Bacon,Dill Pickle are 2 favorites. But don't forget the original paired with a homemade dip.It's a sit back in the chair and enjoy moment! Brings a smile anytime of day. Luv Lays Chips. Thanks for not forgetting us! I also really like your blog. I've found many items and places that have gluten free items. Salt and vinegar all the way! My Favourite has to be Salt & vinegar :-) with Sour cream and onion a very close second.. I love the Wavy Original flavor! They are perfect with some hummus on a nice hot day! They have been my favorite for as long as I remember! I too prefer the Lightly Salted Version! Love the salt and vinegar and dill pickle chips, never thought I could eat them and assumed they would not be gluten free, nothing you love ever is usually. Having celiacs and being diagnosed in my forties has been one of the most difficult and life changing things for me. Thanks for making my day! My favourite lays chip would definitely be ketchup but dill pickle is a close second! Always satisfying!! Oh how to choose just one fav? I guess it would have to be the Ketchup! Thanks for the give away and the great news!! Jodi Williams on FB, @Jodi_Williams_ on twitter! my all time favorite was in Greece Taziki, oh they were soooo good, wish we had them here!!!!!!!!!! Next to those I like plain old Plain!! No one likes Ketchup flavour!? I LOVE it, whoever invented powdered ketchup deserves a hi-five! I always put those on my sandwich/ burger- gives you a crunch & ketchup flavour!! LAYS Ketchup chips for sure! So addictive!! Plain Lays all the way! "My favourite is Ketchup. My Mom buys them for me on special nights. I wish I could have them every day! MMMMM sour cream and onion and good ol' classic my favourites. 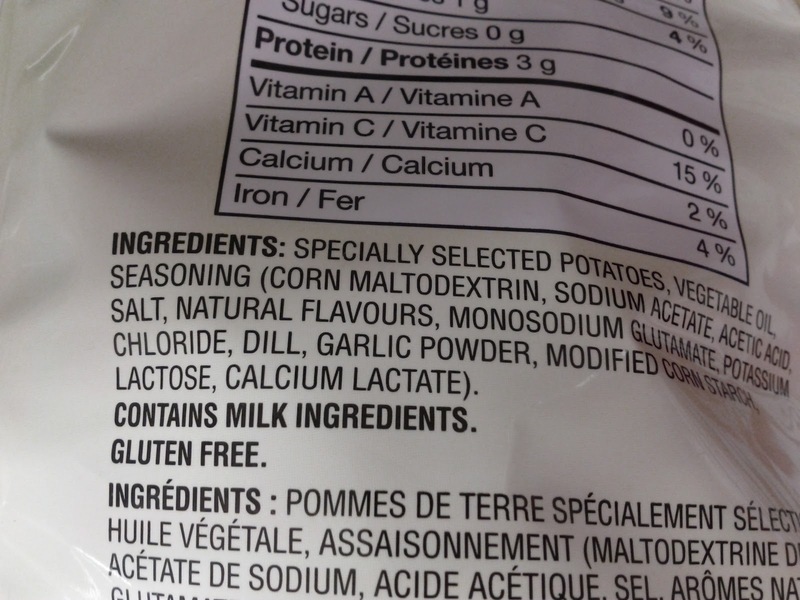 Good to hear that they are gluten free Lays is and has always been my favourite chip brand! Dill Pickle! :) I feel like angels sing when I open a bag of those. Seriously. Kristina Amelia H (fb name) My all time favorite is Salt and Vinegar. The onlyyyy chips that are loaded with flavor on every single chip!! So good! I like them all! Smokey Bacon is the Best! It has been lightly salted until I saw your list above. I will return to my all time favourite of BBQ now that I see it's gluten free. Chips are a part of most of my days, and I love them with lunch. Dill pickle from childhood to now. Ketchup comes in second! Love that I can still enjoy them. Cheddar and Sour Cream. Best flavour ever! Ketchup - I saw them on the weekend with the "Gluten-Free" on them and bought up a bag right then and there! Absolutely original Lays! SO glad to have a favourite snack available GF! Lays Plain is my fav! Old Fashioned BBQ is my all-time favourite. Old Fashioned BBQ & Ketchup! Definitely Sea Salt and Pepper!! I love Salt & Vinegar Chips! Ketchup Chips are the best !!! I love, love, love the Lays Old Fashioned Bar•B•Q chips! YUUUMMMY! Ketchup chips all the way. Or plain ones with my amazing homemade dill dip. Yum! My favourite is the regular, you can mix it up with different dips. Old Fashioned BBQ, Ketchup,Dill Pickle are always in my cupboards. I absolutely love Lays Ketchup Chips!! Not sure why, they taste nothing like ketchup!! Yummmm...Sour Cream and Onion for sure! Dill Pickle and regular bc its great for dipping! Jill Pritchard (Facebook), aka "Mike's Mom"
mmm - which to choose? Michael loves Ketchup, Dill and Barbecue, luckily, as we have to watch out for the milk ingredients too. My fave? Definitely All Dressed, with Sour Cream & Onion as a close second. Lovin' the Lays Chips!!! My favorite flavour is Sour cream and Onion. And my FAVORITE brand is LAYS!!! I only ever eat Lay's. But when I'm in Vegas, I OD on "Limon" flavour!! (only available in 2 states!!) Oh if only they brought those to Canada!! My favourite is salt and viniger!!!! Dill pickle all the way!! Or regular with some sort of dip! Lays are my favorite snack! Lightly salted and salt vinegar tie for me! I LOVE the regular or lightly salted chips. I have been eating them for years without getting sick - but I'm so happy to see it's now OFFICIALLY g-free! Love the lightly salted! but also get a hankering for Ketchup once in a while! These companies sponsor and support Gluten-Free Ontario! 2012 Consumer Chosen Website of the Year! How long have you been gluten-free? Fresh Gluten-Free Pasta from Hollywood Foods Inc! New Beer Coming to Ontario!! My GF lasgena...and man, it's goooooood! ©2007 - 2012 Jax of Gluten-Free Ontario. All rights reserved. Powered by Blogger.